Here's what you do Monday July, 30, 2012. Have one of 24 available cheeseburgers at Holeman and Finch on Monday night at 10. Be there or be square. 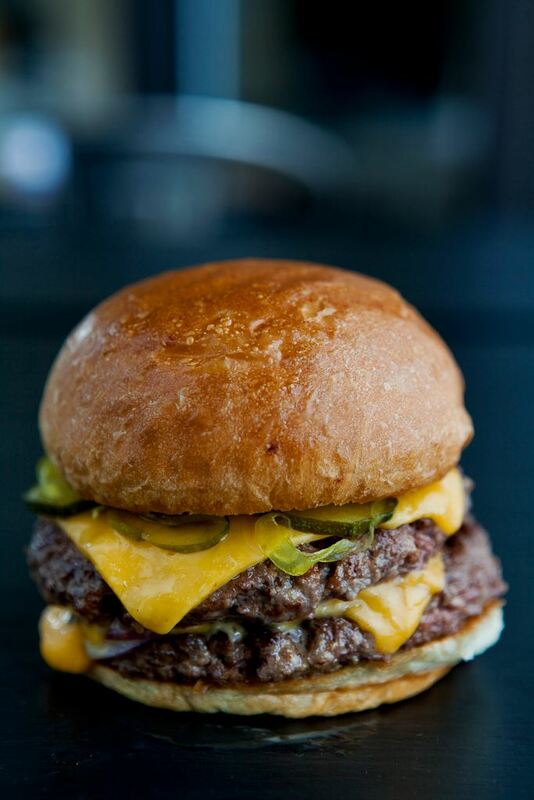 At 10 o'clock, Monday night, be at Holeman and Finch for one of their 24 cheeseburgers. Don't dilly dally my friends. They are usually gone within about 10 minutes. H&F is a gastro pub - one of the first in Atlanta and certainly a trend setter. Hey, check out H&F's blog, here. Here's your plan of attack. Get there at 8:30. 9 latest. Take a seat at the bar. We're putting you there on Monday night, so you have a good shot at a seat immediately. But, you might have to wait. If so, place yourself carefully in "obvious queue" for a seat, and you'll get one. If you're on a date, it's a good idea to sit at one of the bar's many corners. Somehow, they managed to fit way more corners in the bar than you'd think was possible. I think this was with good reasoning. It's much better to talk to your date corner to corner than side by side, no? Somebody's smart over there at H&F! Once you have your seat, order a cocktail to start. Personally, I like to sit close to Greg Best - the gregarious vested mixologist - and let him make suggestions. He knows best. :-). But, if you'd like a suggestion, try out the Brown Town. It's summer, and this gin drink won't disappoint. Now, the menu at H&F changes frequently, but I've never gone wrong with ordering the deviled eggs, farm egg and pancetta carbonara, or any of the cheeses. If you're feeling particularly continental, try the sweet breads, or the veal brains. Order your burger as soon as you sit down. When it comes, luxuriate. Finish off the night with a nice glass of Frexnet. It's a type of amaro, which is an Italian digestif liquer. Learn more about amaro here. Frenet is very smooth. Some people have it on the rocks, some mix with coke. I think you should have it neat and let it works it's magic in ending your culinary adventure. ($ - $40 per person). 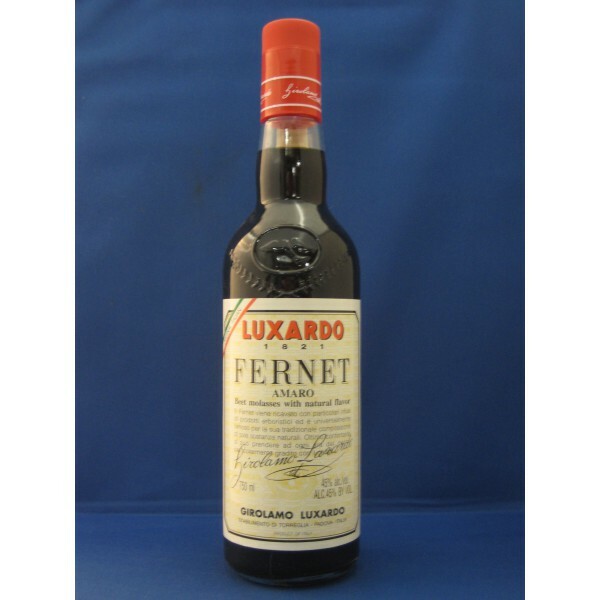 Finish your culinary adventure with some Fernet, neat. Second: Go check out the Georgia Aquarium. I think you should go at least once a year to experience this largest aquarium in the world. 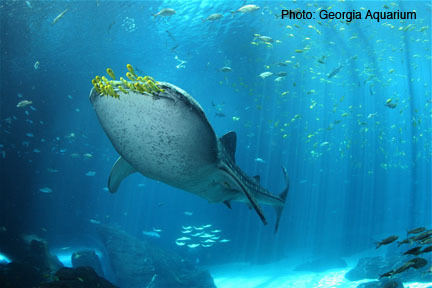 Go hang out with the whale sharks, beluga whales, even manta rays. ($ - $34.95 for adults, $28.95 for kids). Hang out with the whale sharks at the Georgia Aquarium. Third: What better a thing to have after the aquarium than fish tacos? Head on over to Taqueria del Sol on the west side. You might have to wait in line, but it's worth it. Have fish tacos with extra lime, and get a glass of spanish wine, a tempranillo. When you're done, head across the parking lot to Star Provisions and browse. Pay special attention to the cheese shop. They know what's up. ($ - $15 per person). Fourth: Nap. Take a summer siesta. Follow the perfect bed rules. "light and fast, with some of the sharpest dialogue and acting that he’s put on the screen in years. The picture gently but surely moves back and forth between romantic comedy and satirical farce." It's on at 6:45 at Midtown Art Cinema. Should give you plenty of time to head on over to H&F. ($ - $10 per person). Finally: Head on over to H&F. Belly up to the bar and enjoy the ride. ($ - $40 per person).